A major study has found a possible link between paracetamol – the primary ingredient of Calpol medicines – and the risk of children developing asthma. Calpol is the most popular painkiller in Britain; given to 84% of babies during the first six months of their life, but there are presently no warnings in regards to the possible health risks of the medicine. In fact, the study, conducted by Spanish scientists, suggests that children who are given Calpol just once each month could be around five times more likely to develop asthma. Moreover, even those having the medicine just once a year could be up to 70% more at risk claim the researchers behind the study, who have stated their belief that paracetamol may help to explain rising cases of childhood asthma. Researchers from the University of Da Caruna in northern Spain asked parents of 10,371 children aged 6 to 7, and 10,372 children aged 13 to 14 whether their children were suffering from asthma and if so, the severity of it. Those involved in the study were schoolchildren from six areas in Galicia in Spain, between 2006 and 2007. In addition, researchers asked the parents how frequently their children were given paracetamol during the previous year and how often during the time they were of infant age. Children in the younger age group given the medicine at least once a month were apparently over five times more times likely to have asthma and those given it just once a year were found to be approximately 70% more at risk. However, there are those who have called into question the validity of the study. 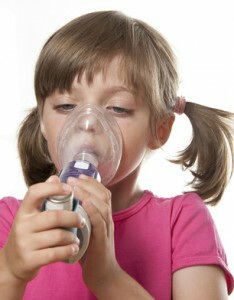 As the study assessed paracetamol use and asthma symptoms (wheezing) at the same time, it is viable that children with asthma symptoms are simply more likely to be given paracetamol by their parents to help with the symptoms, as opposed to paracetamol directly contributing to the asthma. Dr Martin Scurr, a GP in London, says it is difficult to draw conclusions from the study and further research needs to be carried out. Asthma was assessed by asking parents and children only about episodes of wheezing and as such, may not represent an accurate medical diagnosis of asthma. Also, as the paracetamol usage/frequency was self-reported, it is unlikely to be 100% accurate. Therefore, it would be wrong to suggest a definite connection between paracetamol use and asthma. As with all medicines, paracetamol should only be given to children if it is required. The number of children developing asthma in Britain has more than doubled in the last 50 years, with many studies being carried out to find out why, and health experts at loggerheads as to what reasons are causing the increase. An estimated 1.1 million youngsters in Britain are suffering from the lung condition, and added to 4.3 million adults who have asthma, it causes 1,400 deaths each year in the UK. Visit the ‘Asthma and Allergies’ area of the Medical Specialists Pharmacy website today for a full list of all the preventer and reliever inhalers we provide for suitable patients.